Western blot analysis of extracts of various cell lines, using ABAT antibody at 1:1000 dilution. 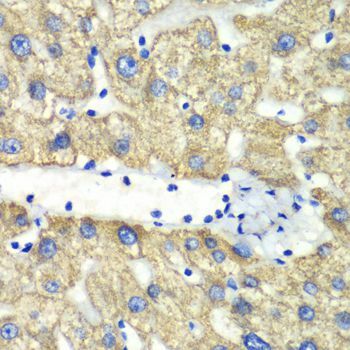 Immunohistochemistry of paraffin-embedded rat kidney using ABAT antibody at dilution of 1:100 (40x lens). 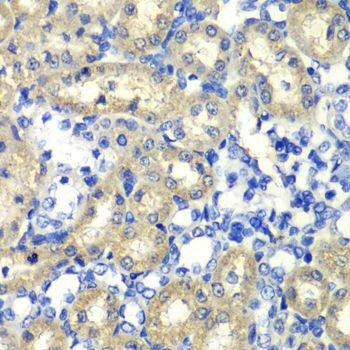 Immunohistochemistry of paraffin-embedded human liver injury using ABAT antibody at dilution of 1:100 (40x lens). 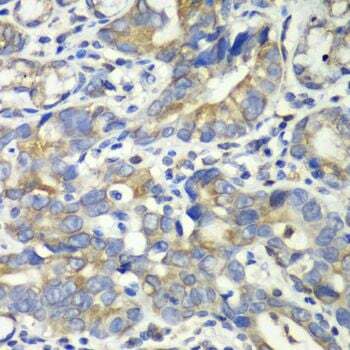 Immunohistochemistry of paraffin-embedded human gastric cancer using ABAT antibody at dilution of 1:100 (40x lens). 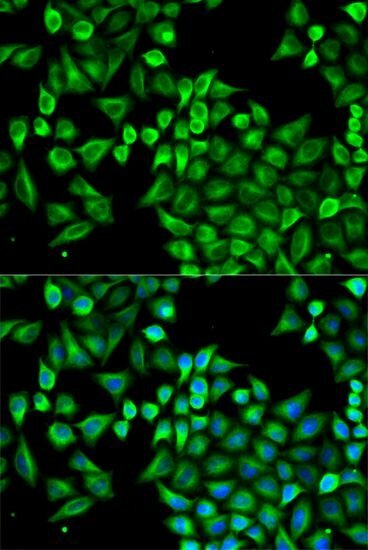 Immunofluorescence analysis of A549 cells using ABAT antibody. Blue: DAPI for nuclear staining. 1. 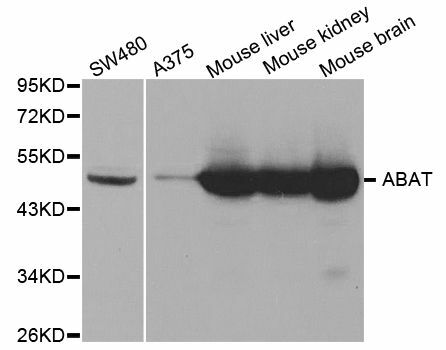 Findings point to a possible role of ABAT gene-regulated GABA catabolism for an altered processing of somatosensory stimuli as a potential vulnerability marker for affective disorders.